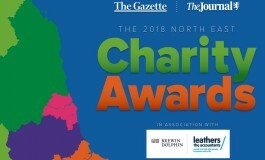 I have been short-listed for the North East Charity Awards 2018 in the award category of Volunteer of the Year as one of three finalists in the running for the award. The award ceremony is on 11th October 2018 at Hardwick Hall, Sedgefield. It’ll be a strange night only days after the last live sessions at The Grand, Hartlepool but a nice way to celebrate all that’s been achieved regardless of the outcome. UPDATE; After a wonderful night of celebration I came runner up to worthy winner Mary Frankland.